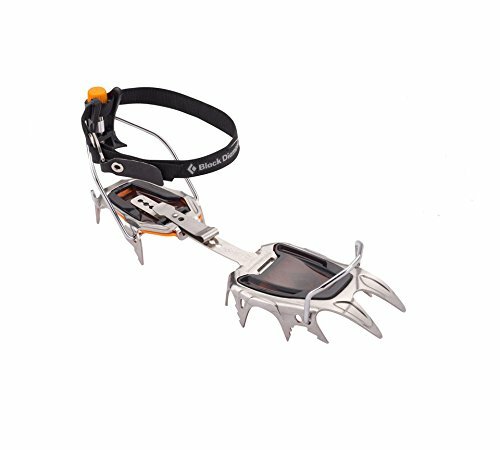 Black Diamond’s best all-around crampon, the Sabretooth features a lightweight stainless steel design. Equally at home on Denali as climbing in Ouray, the Sabretooth features horizontal frontpoints to provide stability in snow, penetrate alpine ice, run up waterfall ice and hold rock edges securely. The secondary points create a stable platform with shear resistance for control in mushy conditions; serrated sub-points grab and hold when you're rocking over your feet. Its stainless steel construction won’t rust and avoids environmentally toxic coatings that wear off in the mountains.